Working on numbers to 10? 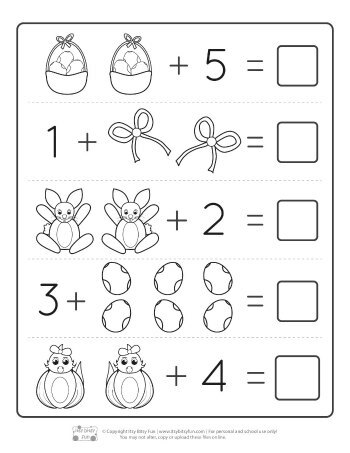 Make math more fun by using this set of printable Easter Kindergarten Addition Worksheets. 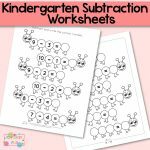 Let’s face it, while kindergarten worksheets are a great way to help teach necessary math skills they are not always fun. But we like to make things fun! 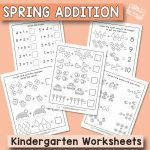 These Easter worksheets are a great way to teach basic addition while keeping your kids happy and engaged. 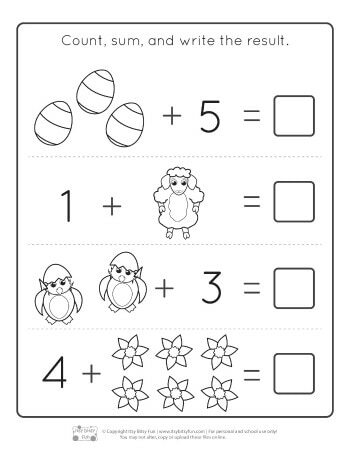 Our Easter kindergarten addition worksheets come with a pack of 5 Easter themed worksheets. 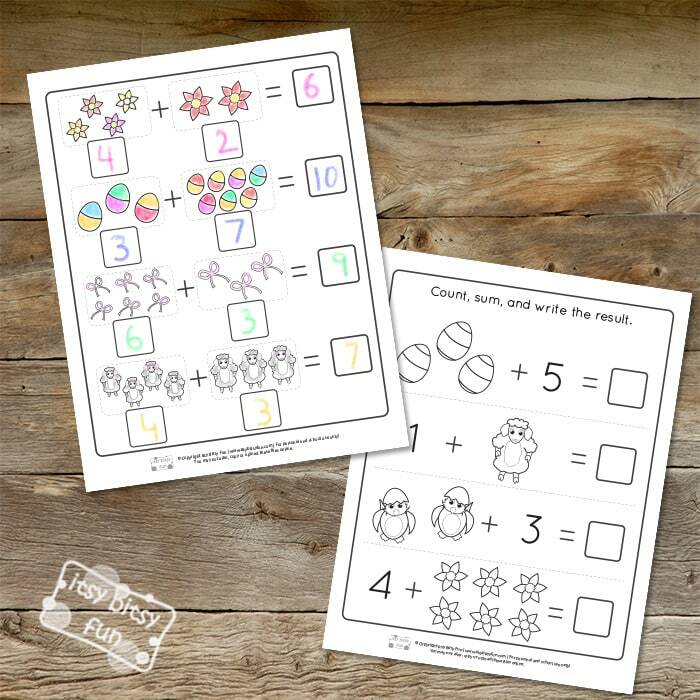 Starting from page 1 these kindergarten math worksheets help teach math by utilizing pictures such as Easter eggs, Easter baskets, and cute baby chicks, as visual aids to encourage your kids learn to count. 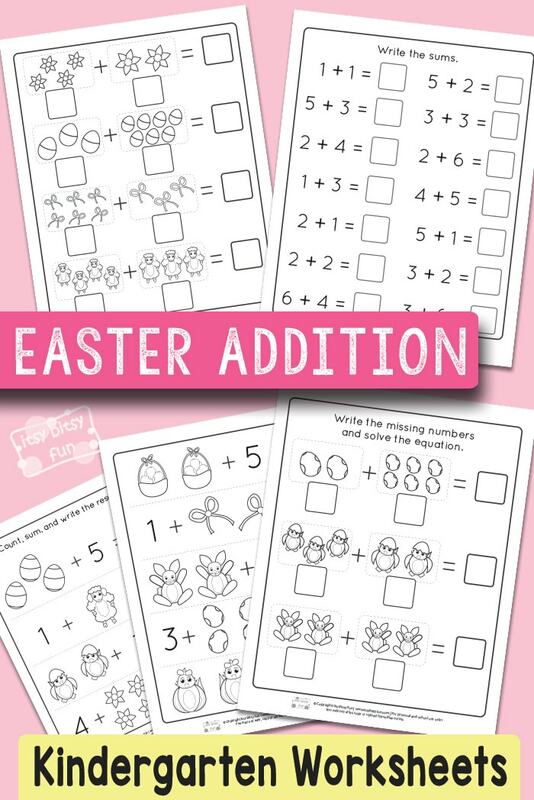 The Easter pictures help teach basic addition in a fun and creative way. This 5-page set will help keep your kids from getting bored for sure. 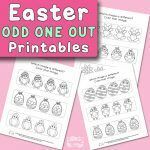 Each page has a variety of cute Easter themed pictures to make learning fun. 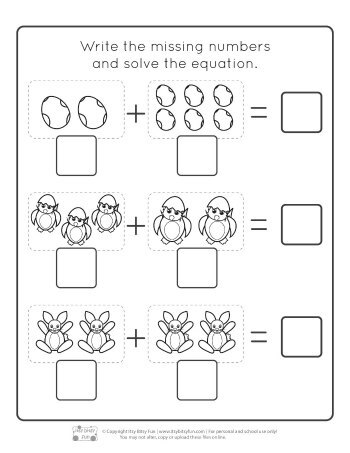 Pages 1 and 2 utilize both pictures and numbers to help your kids with basic addition. Page 3 and 4 stimulates your kids to associate pictures and numbers by having students count the pictures and write the numbers then solving the simple equations. Page 5 brings all these skills together in a more traditional worksheet format. 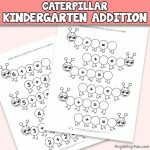 These kindergarten worksheets are great for educators of all types. They can be used in the classroom, for homeschool, or even by parents who want to give their kids a head start in their education. You can print and laminate each worksheet so they can be used over and over again. 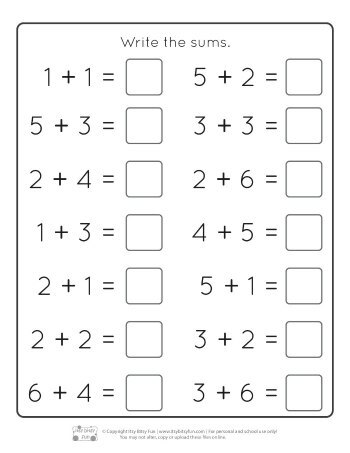 For even more fun you can print each page and have your kids color the pictures before completing each problem. This can help your kids to learn without even realising they are working. 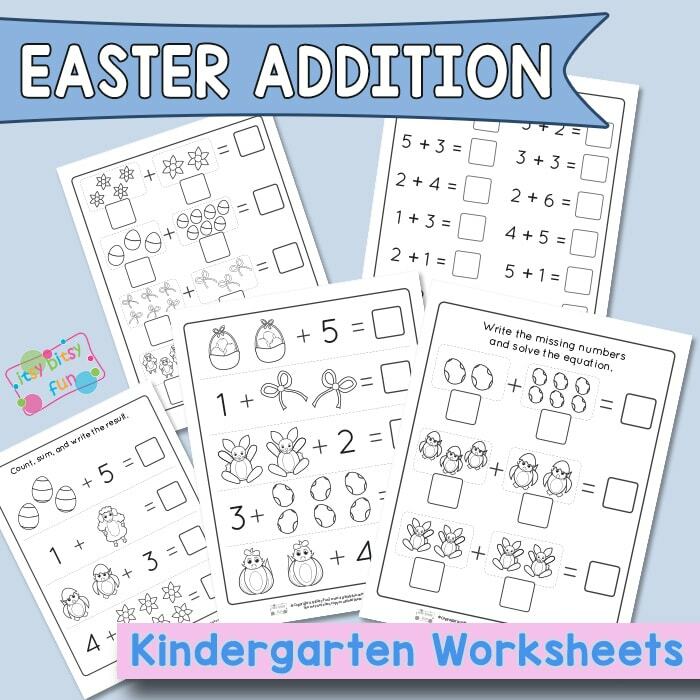 Get your Easter Kindergarten Addition Worksheets here. 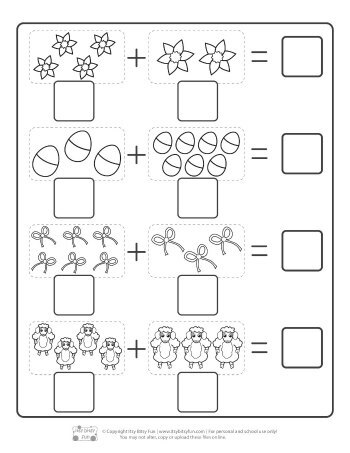 Check out also the Learning Numbers from 1 to 10 Printables and print out the Easter Coloring by Number Worksheets.